Thanksgiving is the day of gratitude, but it doesn’t have to be the only one. Why limit being grateful to just one day? Bad memories are easier to remember. Negative experiences tend to be more vivid than positive ones, as shown by fMRI studies. Rewiring our brain takes time. You have to train your orbitofrontal cortex and amygdala to acknowledge positive events — you must build a habit of creating good memories. Science wants you to be grateful — acknowledging positive events is beneficial for your health. A study found that regularly and deliberately recording one’s blessings improves our mental health and physical well-being. Additional research shows that being thankful opens the doors to more relationships, improves your sleep, and boosts your self-esteem. But what does it take to get there? Appreciation is the joy of seeing the good in something or someone — this mental state boosts both our happiness and motivation. Appreciation requires not taking everything for granted — it’s about discovering the value in what you already have. Gratitude connects you to something greater than yourself — it’s experiencing life as a surprise gift. There’s always something new to discover and be thankful for. You have to keep your mind open — make room for the good memories, not the bad ones. Gratitude is the quality of being thankful — we are ready to show appreciation for and to return kindness. Avoid approaching daily gratitude with a transactional mentality; it can backfire. Focus on building the habit. Enjoy the practice without expecting anything in return. Gratitude is more than saying thank you. It’s about acknowledging the value of your experiences — thankfulness requires genuine appreciation. Gratitude involves a complex interplay between the giver and receiver, as I wrote here. If you thank someone for something meaningless, they will perceive your gratitude as an obligation. If you are appreciative just to look good — the world will realize you are not genuine. Being appreciative starts with yourself. Most people are unhappy because they can’t acknowledge their own goodness. Start by setting up time for daily appreciating — provide room and attention to positive events. Keeping a gratitude journal is an increasingly popular practice — it helps you create the time and space for focusing on what went well. Your life is full of things — no matter how small — for you to be thankful. Start paying attention. It gives you a new perspective on what is important to you. It can lower your stress levels. Journaling can help you feel calmer, especially at night. By writing what you are grateful for, you gain clarity — you realize what you want more in your life. 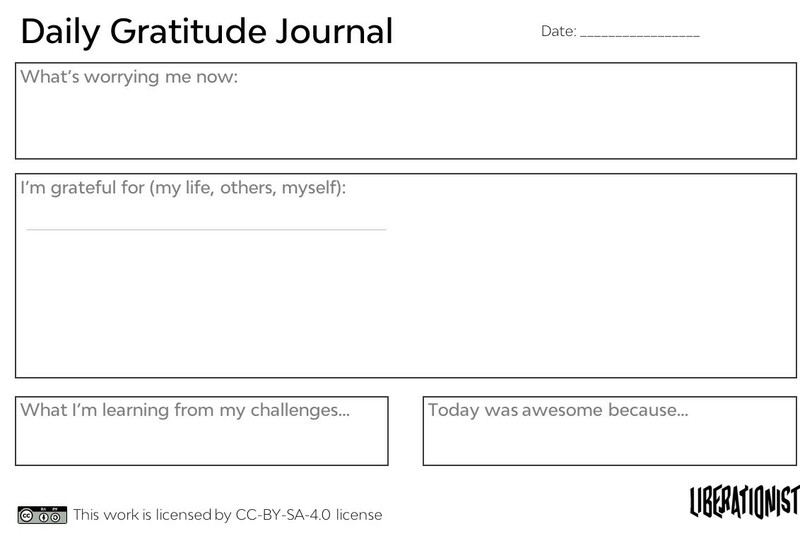 Your gratitude journal is a journey to increase your self-awareness. The daily practice of writing what you are thankful for should include both what you have and what you haven’t. Not being sick or unemployed are also things to be grateful for. A gratitude journal is a simple and effective way to create positive memories — put the energy in capturing every good experience, no matter how small. Happiness is a byproduct of all your victories — small wins help create momentum. We spend our lives looking for that perfect moment — a gratitude journal will help you see happiness in real ones. I recommend writing it at night. Finish each day with a grateful attitude — the mindset you bring into bed shapes your sleep. How you end your day shapes the way you’ll wake up the next morning. You cannot control life. But you can control the stories you tell yourself. Practice builds a habit. Focusing on the positive will feel more natural day after day — your list will grow longer and longer before you even notice it. Thankfulness is more than celebrating a delicious dinner with your family. It requires taking the time to pause and reflect. Once Thanksgiving Day is over, don’t let your sense of gratitude fade. Train your brain to remember the positive. A gratitude habit will improve your mental and physical health. Practice journaling to realize and remember everything you want to be thankful for — appreciate the positive in life, others, and yourself. Feeling grateful and happy is something to celebrate every day, not just once a year.